The legalization of recreational cannabis is, undoubtedly, going to occur within the next few months. With that in mind, it is essential that discussion, regarding regulation of the Ontario cannabis market, takes place. However, in order to adequately discuss the regulation of the Ontario cannabis market, it is important to clarify what is meant by the term “regulation”. As you likely already know, legislation is synonymous with statutory law. This includes a description of the legal requirements to satisfy the law as well as the punishments for violating the law. This is distinct from regulation which refers to the ongoing processes of monitoring and enforcing the law which is not only how the legislation is enforced, but also the act of enforcement itself. In other words, if legislation is a destination, regulations is the way to get there. For example, if we apply the concepts of legislation and regulation to the food service industry we can understand, in simple terms, how they relate to one another and, ultimately, affect a business. In this context, legislation may require that a restaurant must have a “sanitary” kitchen. That would include a set criterion that must be met by a restaurant to be deemed “sanitary”, as well as the prescribed punishments for failing to satisfy the set criterion. At this point, regulation comes into effect and sets the processes of monitoring restaurants and holding them accountable to the law through enforcement. For restaurants, this can take many forms including, but not limited to, inspection. However, it is important to note that regulations and systems of enforcement can differ depending on the type of business, its scale, and the particular political ideology of legislators in power. Regulation can be effectively split into two broad categories, government regulation and self-regulation. In the context of government regulation, the government dictates and controls how individuals and businesses operate in accordance with laws. In terms of the restaurant analogy, this would mean that the government not only requires that a restaurant kitchen must be “sanitary”, but that they also decide and enforce the specific “processes of sanitation” to satisfy the law. In contrast, self-regulation means that individuals and businesses control the particulars of how they meet the minimum legislative requirements to be deemed “sanitary”. So, the government mandates that the restaurant kitchen must be “sanitary”, but the individual or business is in control of how the kitchen is cleaned, and with what product. Defining the line between government regulation and self-regulation is crucial because they are an outgrowth of two distinct ideological perspectives on economics. These two ideological perspectives on economics are embodied, broadly, by two groups. Advocates for a free-market economy and advocates for increased government regulation of the economy. In it’s truest form, a free-market economy is devoid of any government regulation. Advocates for a free-market argue that less government regulations forces businesses to put consumers first by providing quality products and services at affordable prices. The assumption is that the profit motive is aligned with what is best for the consumer. Moreover, that government intervention is an impediment to the success of markets, and increases the cost of business for everyone. Advocates for increased government regulation operate on a different assumption, that consumers and the environment must be protected from corporate greed, and that the profit motive must be tempered by regulation. As you have probably realized, self-regulation most closely resembles the principles of a free-market economy, whereas government regulation in the operationalization of businesses reflects, on a micro level, the government regulation of the economy at large. There are pro’s and con’s to both ideological perspectives on the economy, and the truth is that the ideal system is a hybrid of both perspectives. What does all of this have to do with the regulation of the Ontario cannabis market? If you don’t know already, the provincial government has revealed its plan to open the Cannabis Control Board of Ontario (CCBO) or Ontario Cannabis Store (OCS). This model is a complete appropriation of the LCBO, and will be subject to heavy regulation from an operational standpoint, and is a clear display of government intervention in the provincial economy. All profits of cannabis at the CCBO/OCS will go to the primary stakeholder, which is the government. It inhibits small business growth. It is a government monopoly. It is a massive bureaucracy. It is a large expense to build the infrastructure and manage it. It will not provide much variation or inspire product innovation. It will ensure that the price of cannabis remains high. This is not to say that crown corporations are inherently a bad thing, in some cases they are necessary. However, in principle they are created to fulfill a need the government feels is not, or cannot be, met by the private sector. It is disingenuous to suggest that the private sector is incapable of providing equivalent or superior products, services, and infrastructure as they pertain to cannabis. This is not an endorsement of a fully privatized free-market for cannabis. 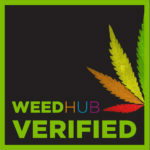 Rather, that with a proper system of certification and accreditation, businesses operating in a quasi-legal capacity such as dispensaries, compassion clubs, headshops, vape shops, clinics, and online vendors can be assimilated into a well-managed, safe, compliant and fair distribution and retail infrastructure. The 42nd Ontario general election is scheduled to be held June 7th, 2018. Doug Ford (PC), Kathleen Wynne (Liberal), Andrea Horwath (NDP), and Michael Schreiner (Green) are all vying to be elected to the legislative assembly of Ontario. Based on research and analysis of election results by Kealey and Associates (K&A), it is perhaps most likely that Doug Ford and the progressive conservatives will have a majority government. This is hopeful for those of us who would like to see a democratization of choice in the cannabis marketplace and fair competition. How likely is it that Doug Ford would pursue a fair market for cannabis in Ontario? This begs the question, what are efficiencies? The term “efficiencies” is a descriptor for the act of providing the required outcome with the minimal (or appropriate) amount of resources, time, and cost. The logic is that if too many resources are applied, it paradoxically leads to a reduced level of productivity, eliminating the opportunity to get other critical activity accomplished, and depleting precious funds. Often where there is duplication, overlap, and fragmentation, there is a significant pattern of inefficiency. As intimated earlier, government intervention in the cannabis market in the form of the CCBO/OCS, or otherwise, is wrought with logistical challenges, heavy expenses, and is highly susceptible to operational inefficiencies. The notion of fair market competition for the cannabis industry in Ontario has its merits, but there is definitely a void that must be filled from a regulatory standpoint. A system of certification and accreditation must be developed and implemented for businesses servicing the market. There must be a higher barrier to entry for businesses looking to participate in the market, but that should not take the shape and form of a government monopoly.